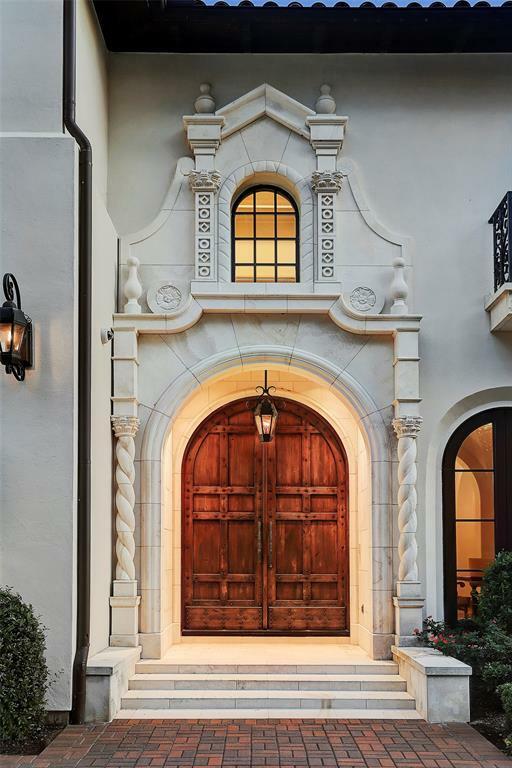 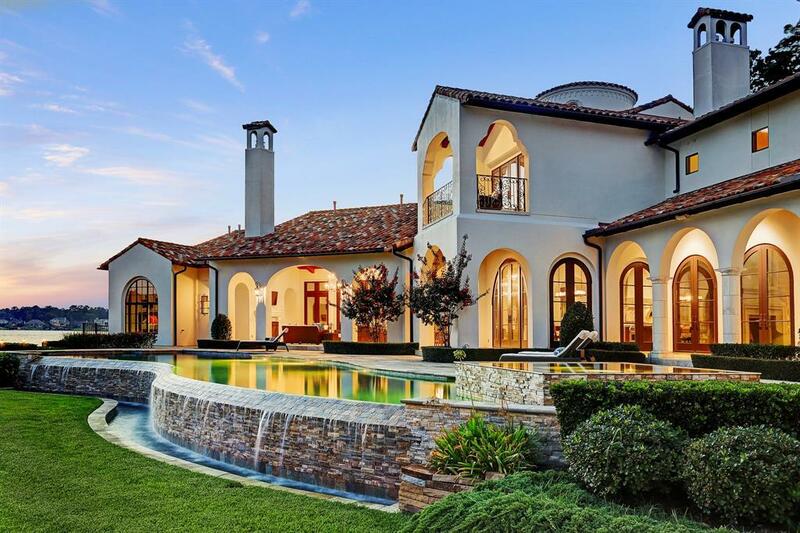 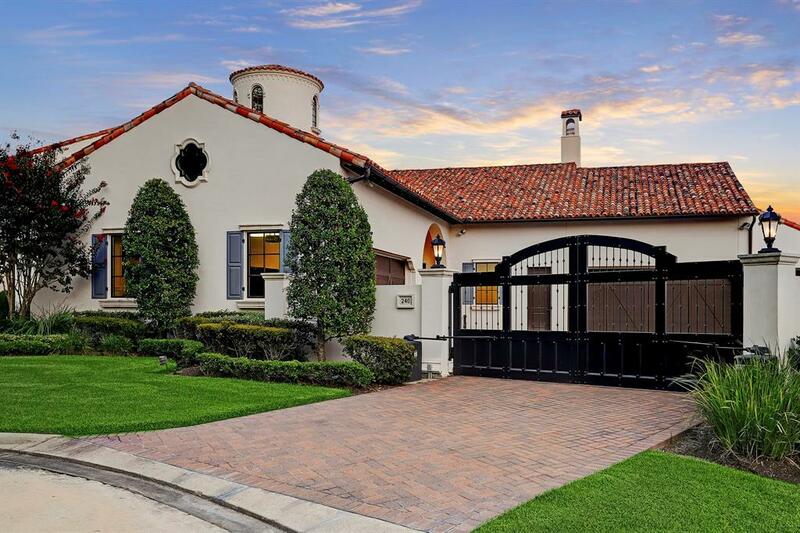 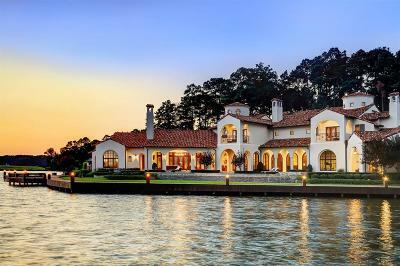 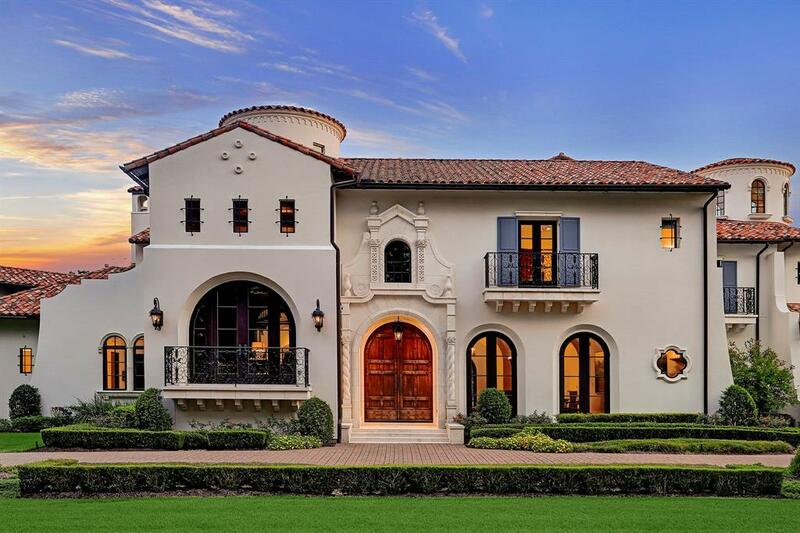 Situated on a .8+ acre lakefront lot, this Spanish Colonial style home was a collaborative effort between the owner and Robert Dames Design. 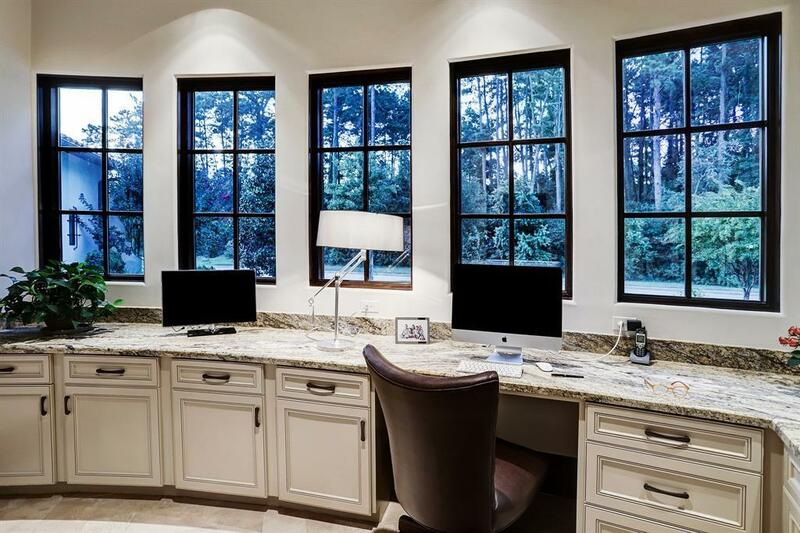 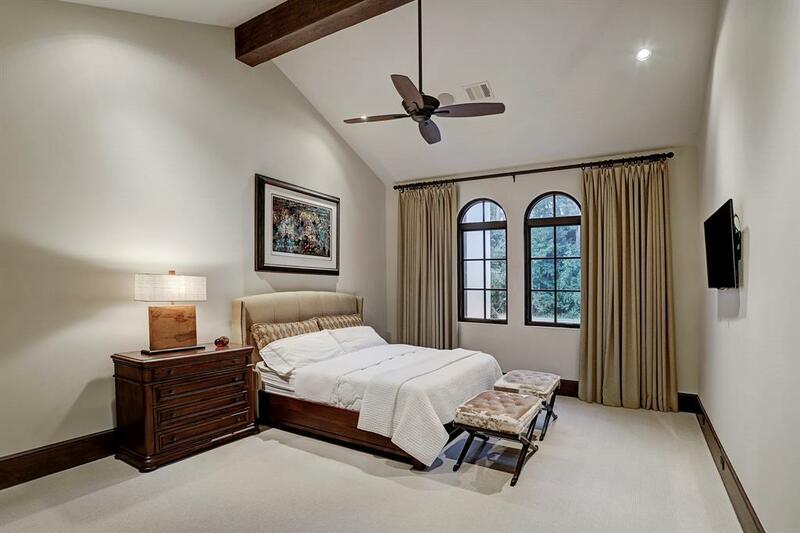 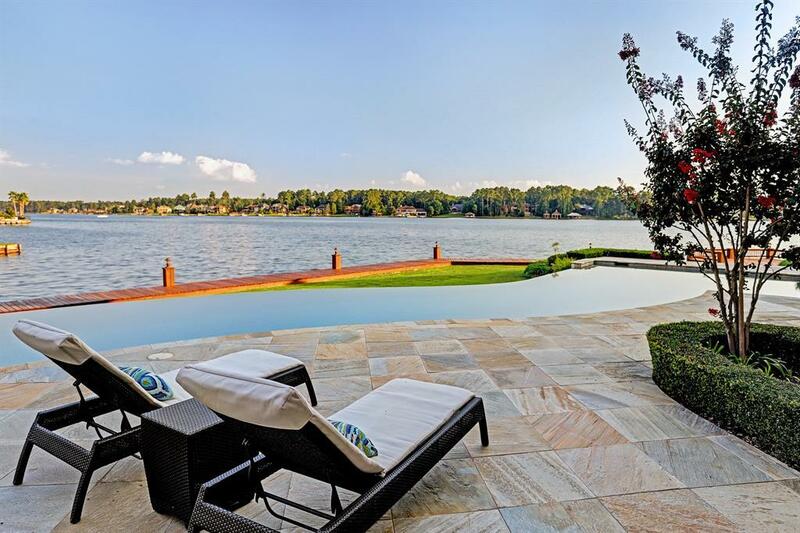 The open floor plan allows for natural light and uninterrupted views of the lake. 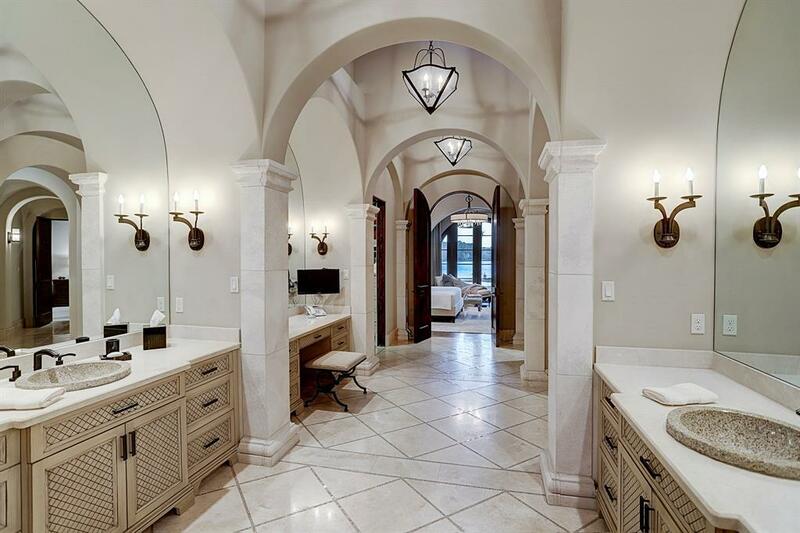 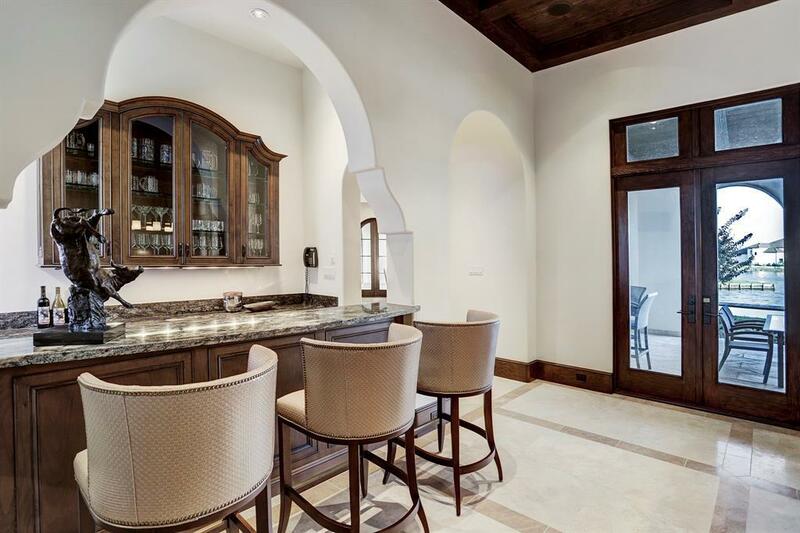 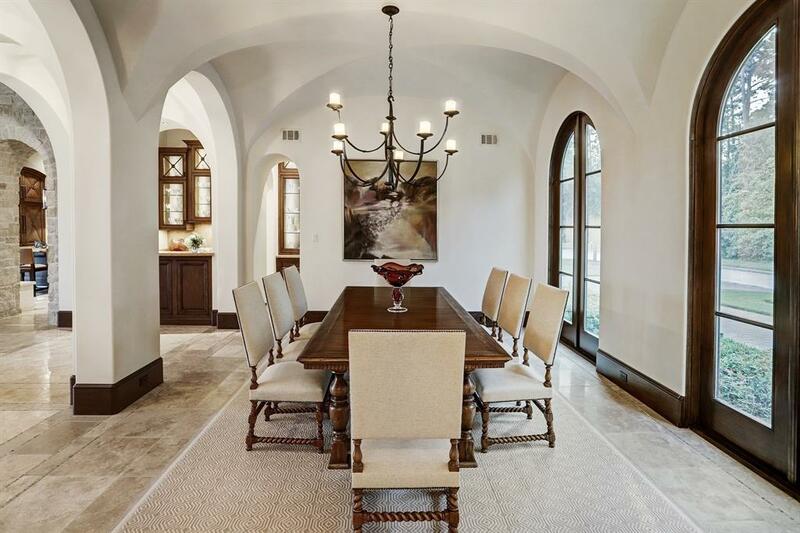 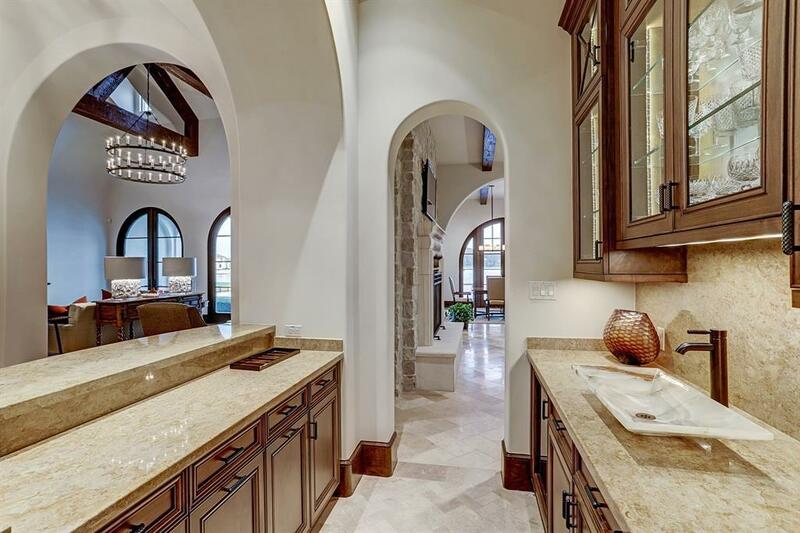 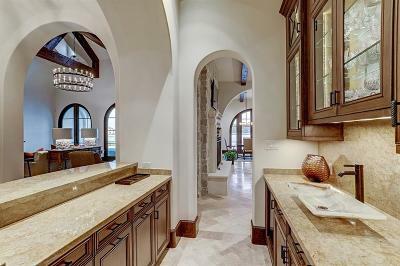 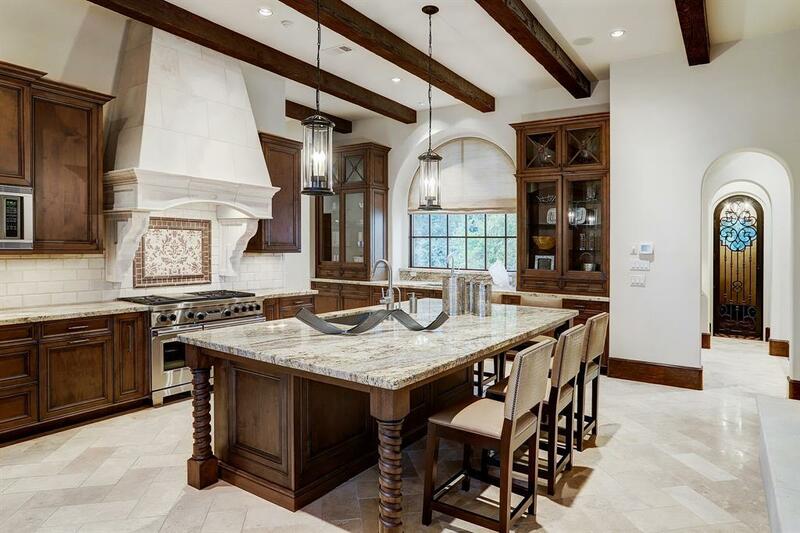 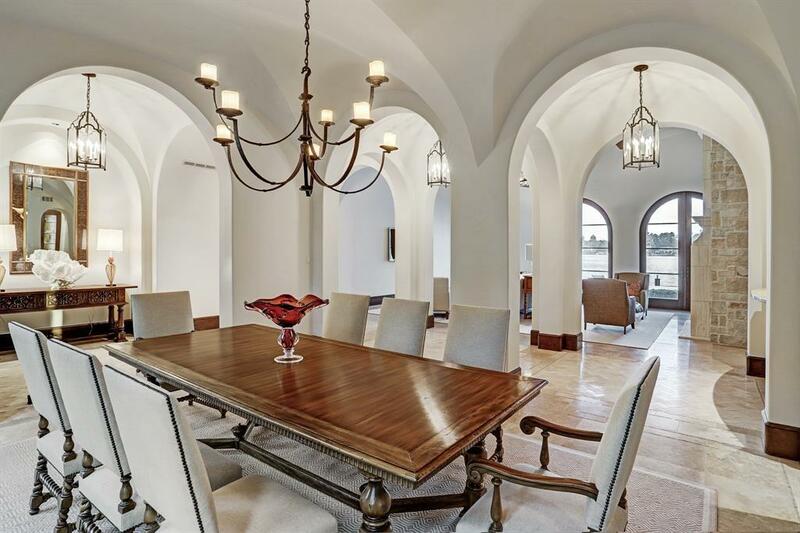 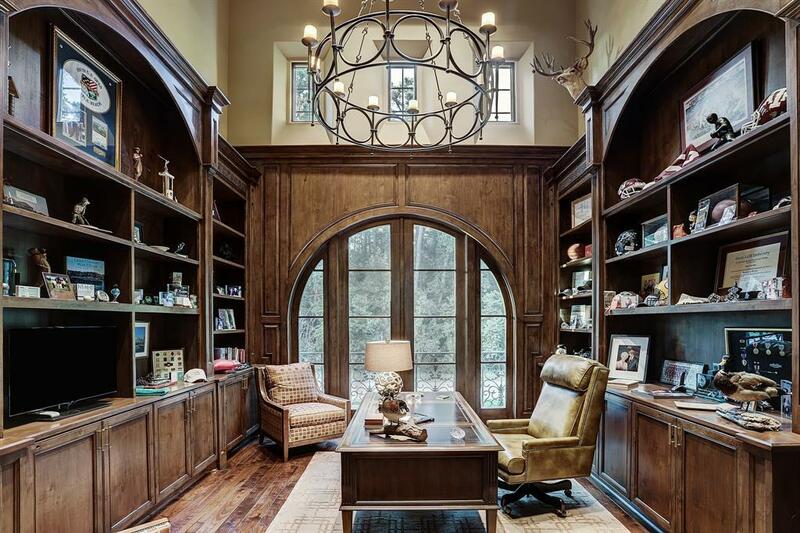 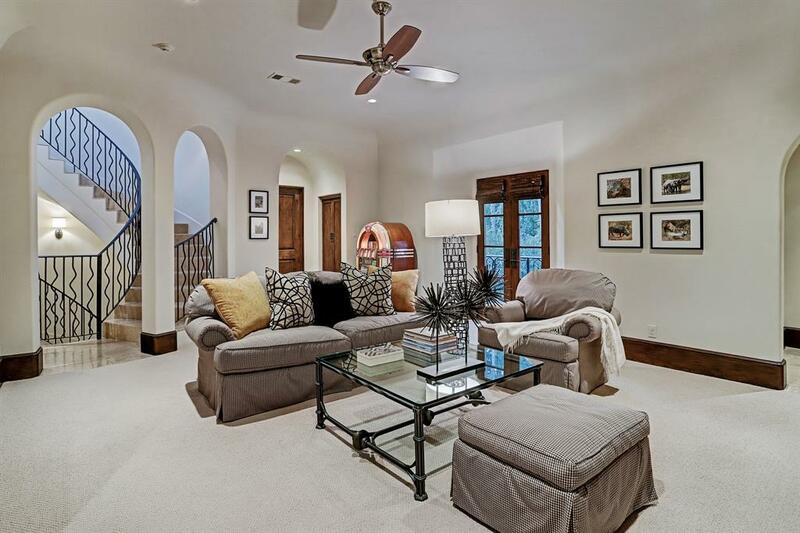 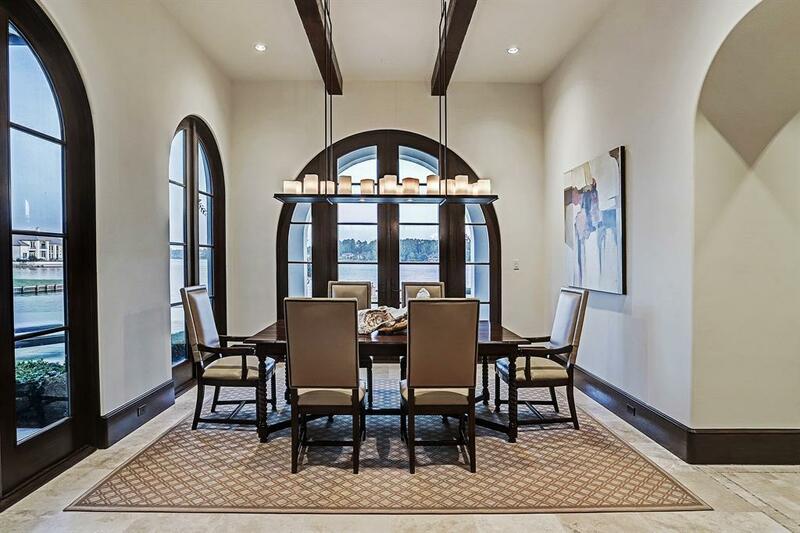 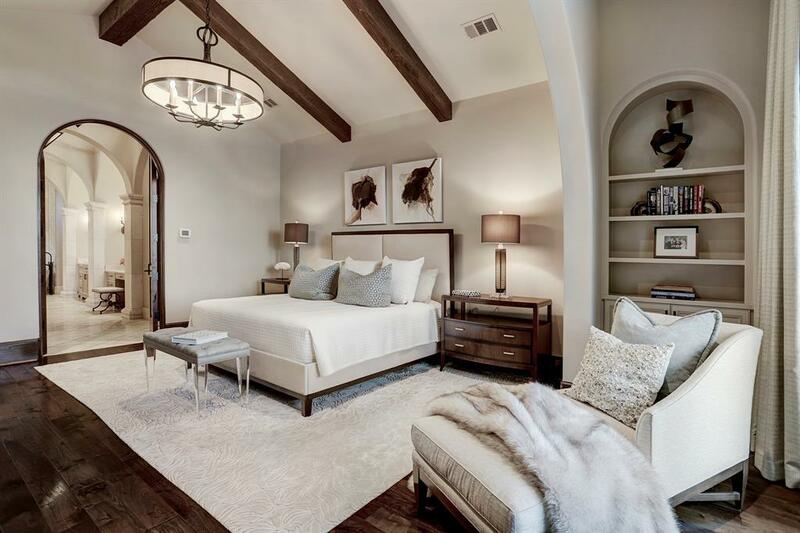 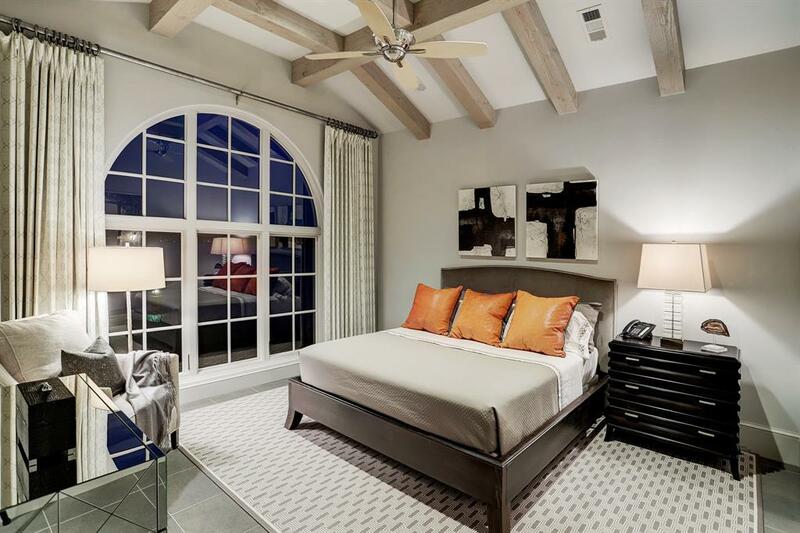 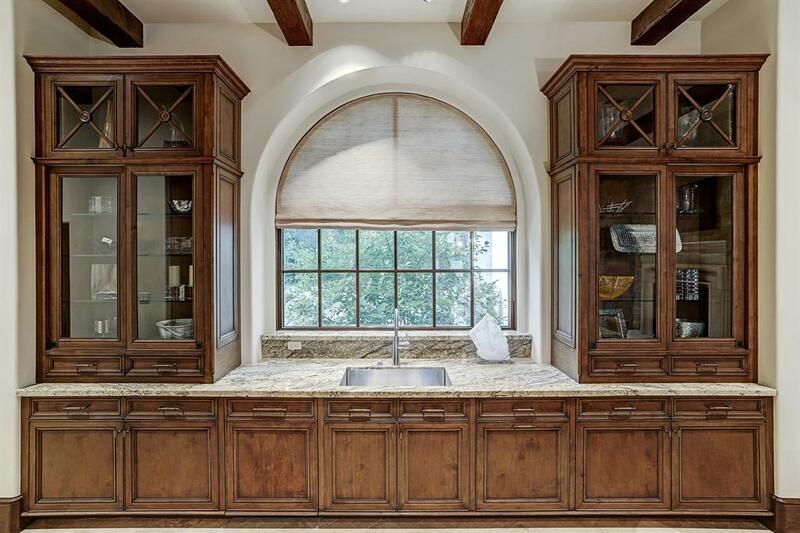 Large archways allow natural flow to the living room, dining room, and kitchen areas. 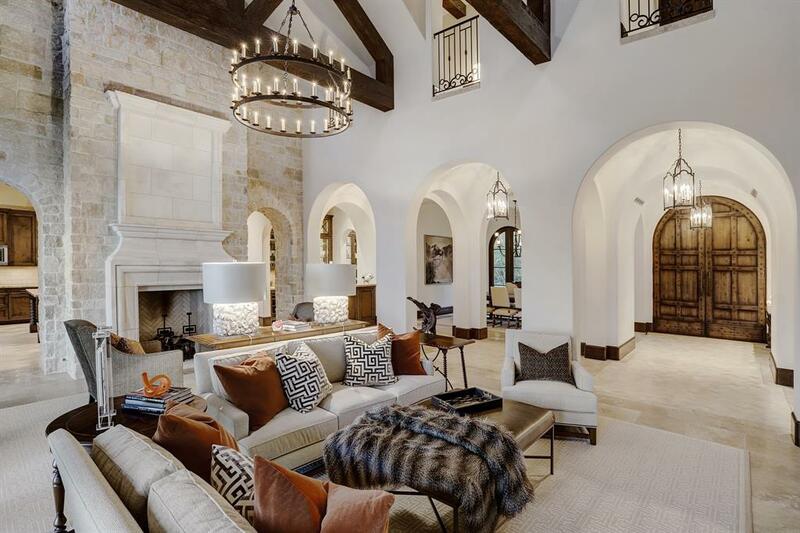 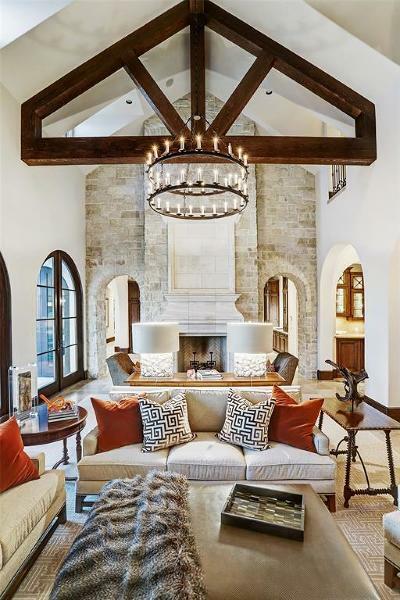 Dramatic living room with vaulted ceiling, travertine floors, wooden beams, and fireplace with limestone surround. Kitchen with large granite island, custom cabinets, commercial grade stove with limestone hood, and breakfast area. 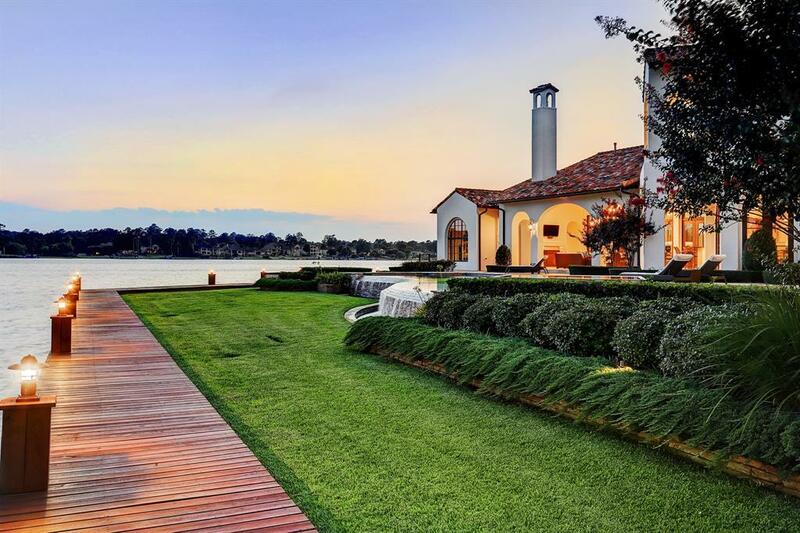 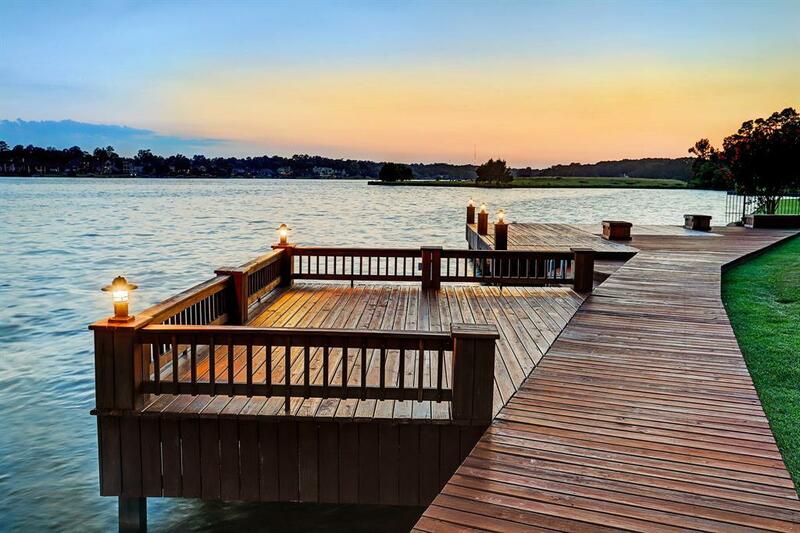 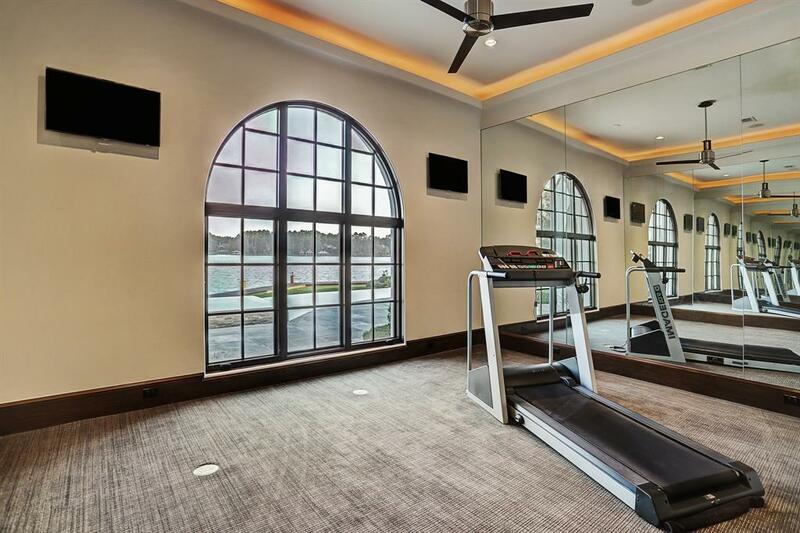 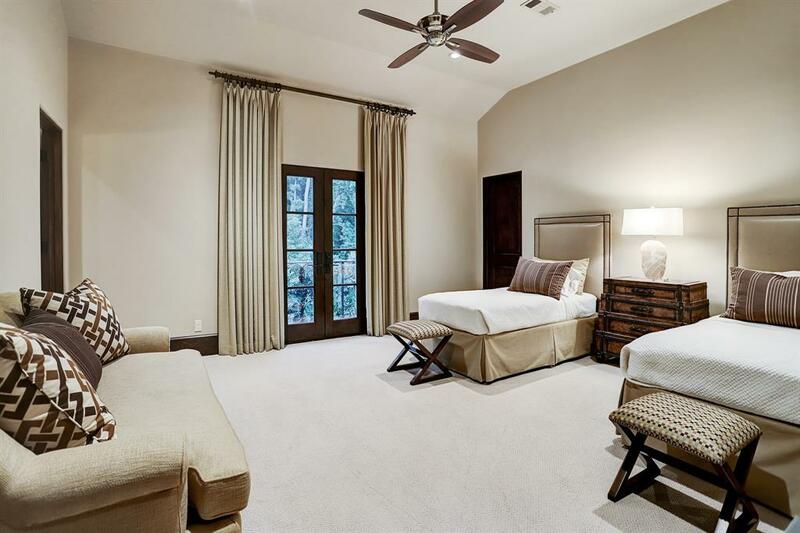 First floor master with exquisite lake views. 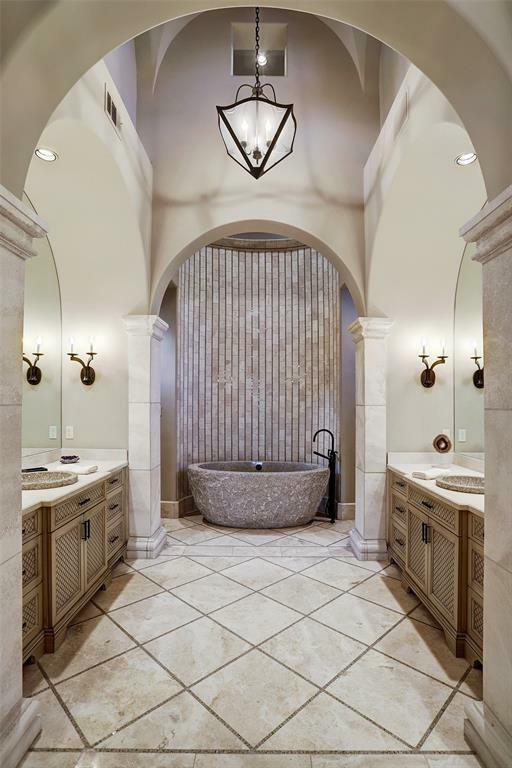 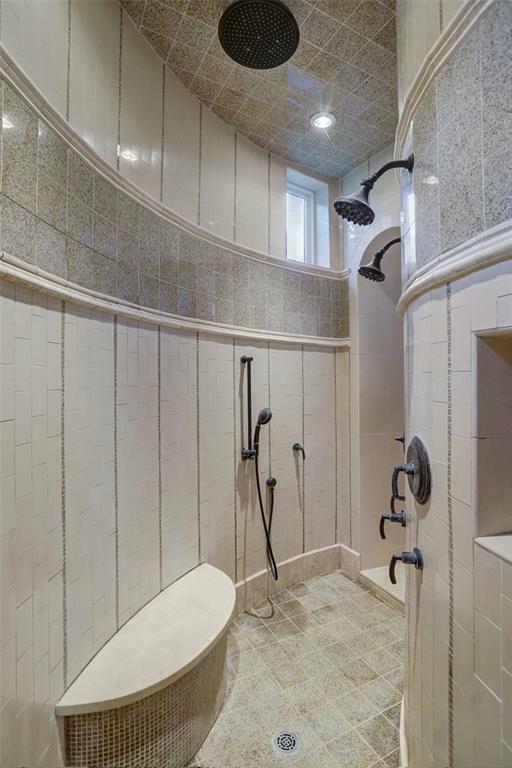 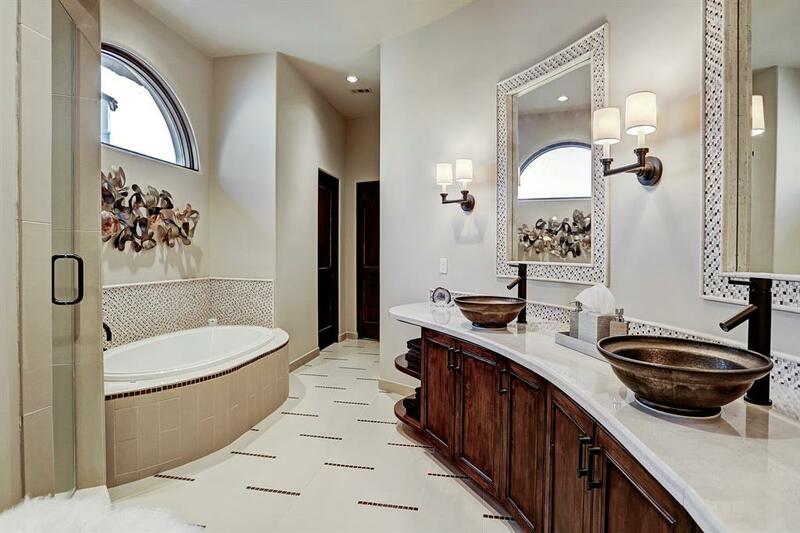 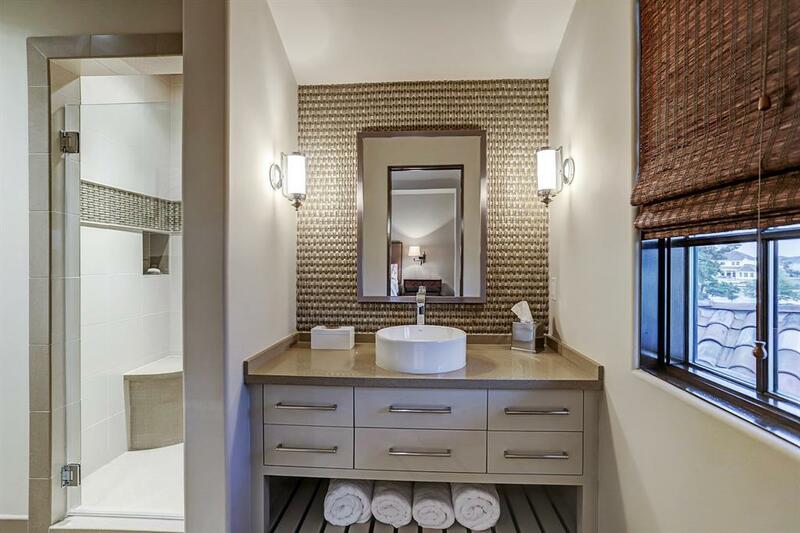 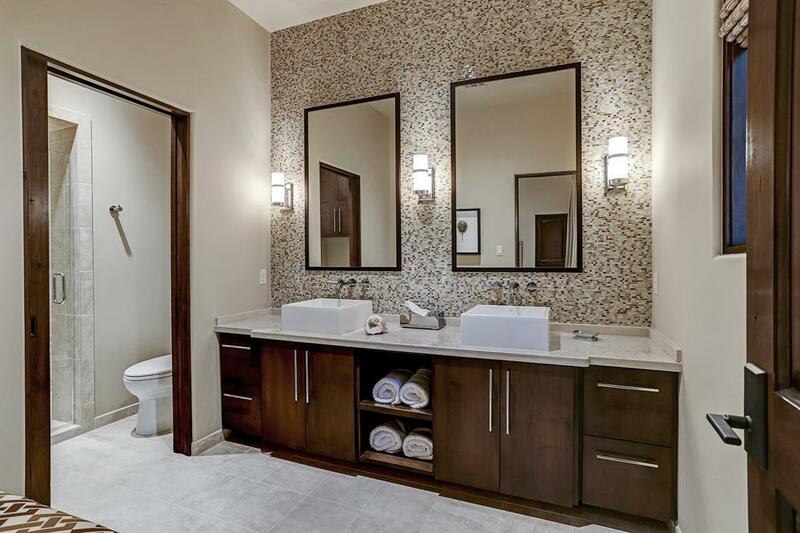 Master bath with chiseled granite tub, large shower, granite sinks, and custom cabinets. 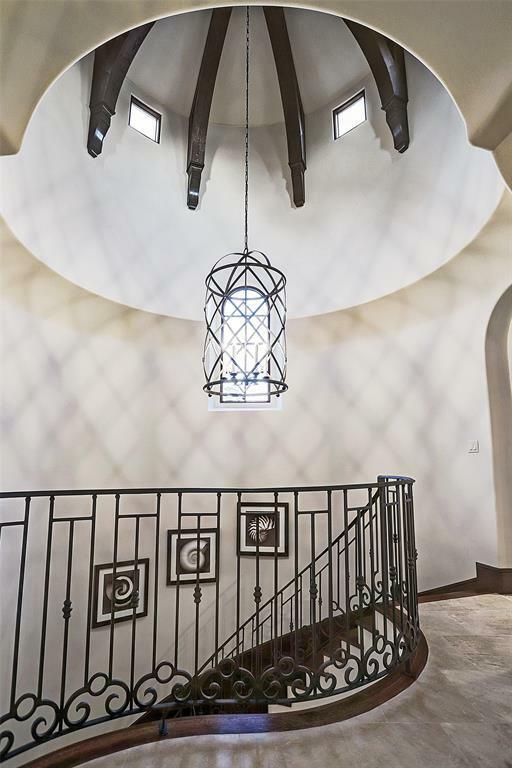 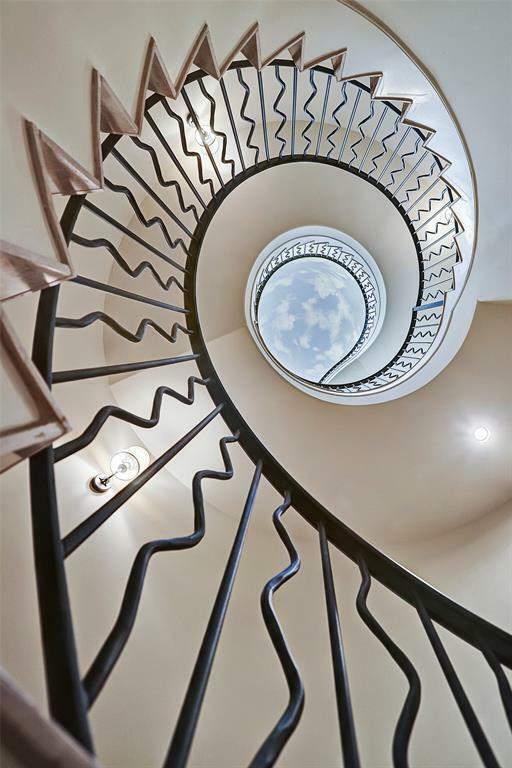 Spiral staircase at entry has a mid-level entry to a handsome wood paneled study. 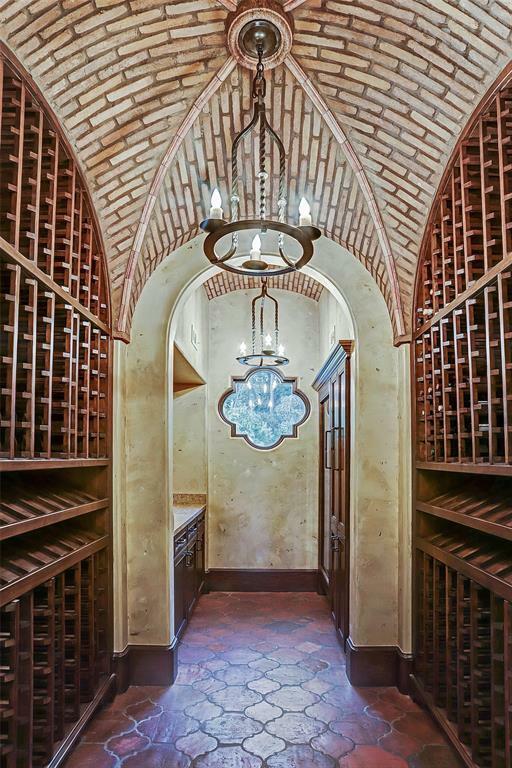 Wine room with groin vaulted ceiling. 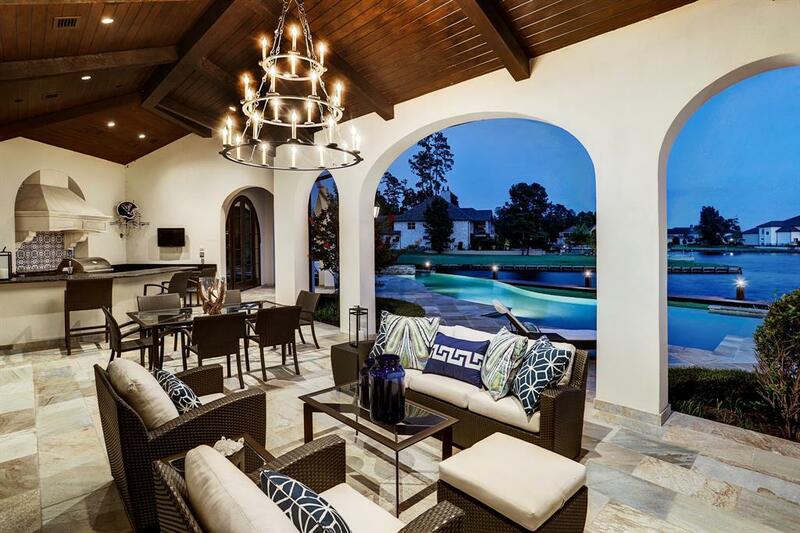 Outdoor loggia with summer kitchen, fireplace, and seating area. 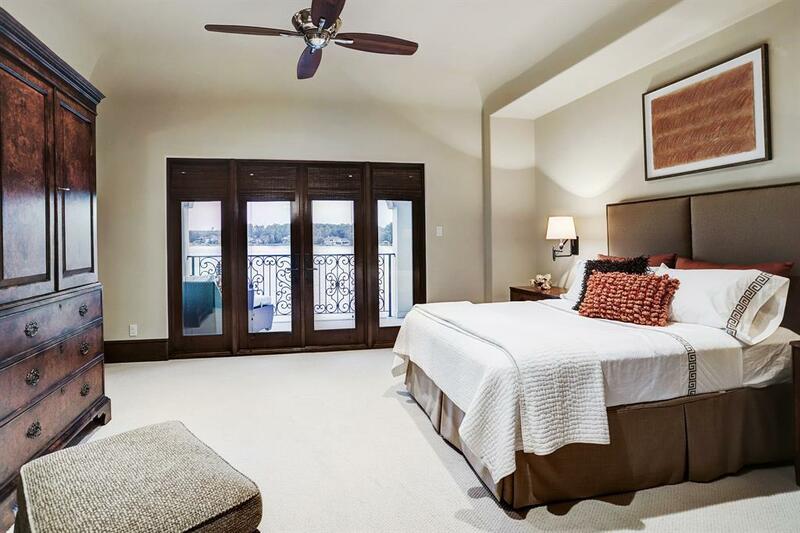 There are 6 bedrooms which include a private casita. 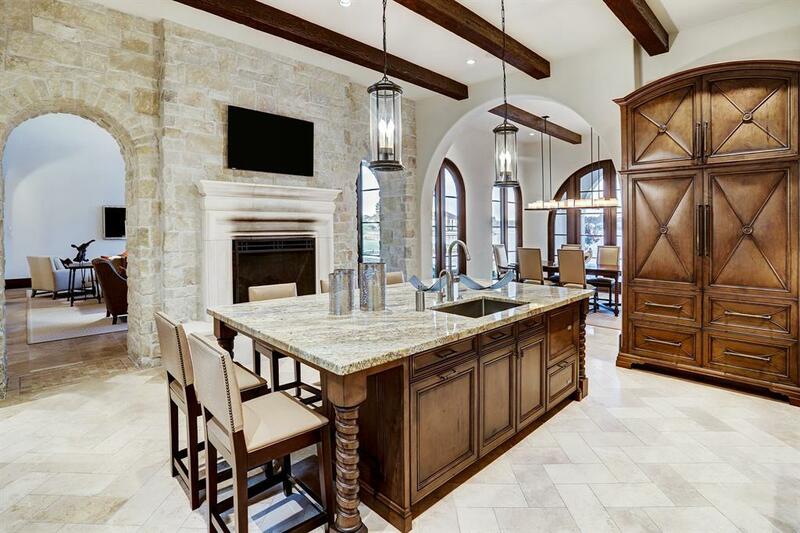 Luxury guard gated community with club membership available. 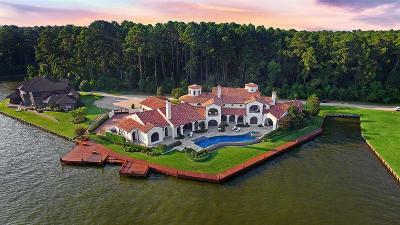 Vacation at home! Directions: From Downtown Houston, Drive North On I-45 For 58 Miles. 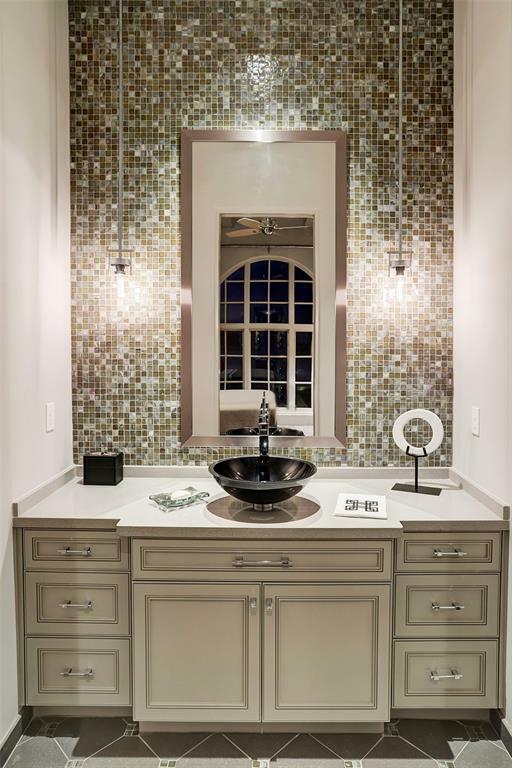 Take Exit 94 For Old Farm To Market Rd 1097. 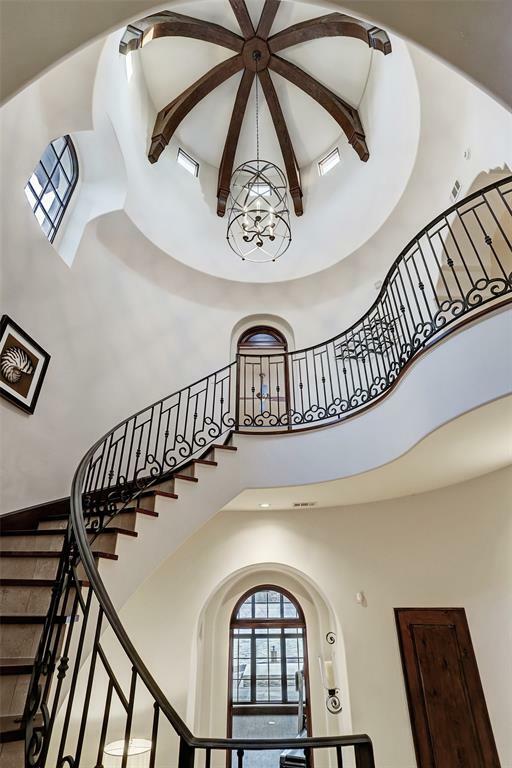 Turn Left Onto Bentwood Dr. 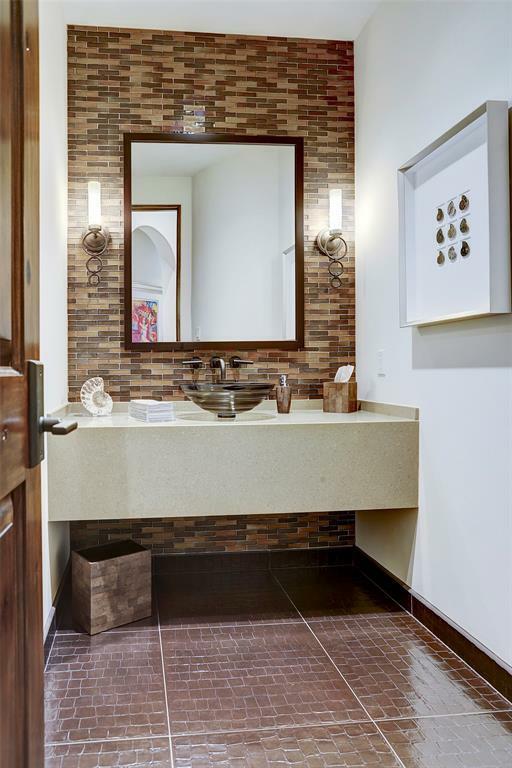 Check In With Guard. 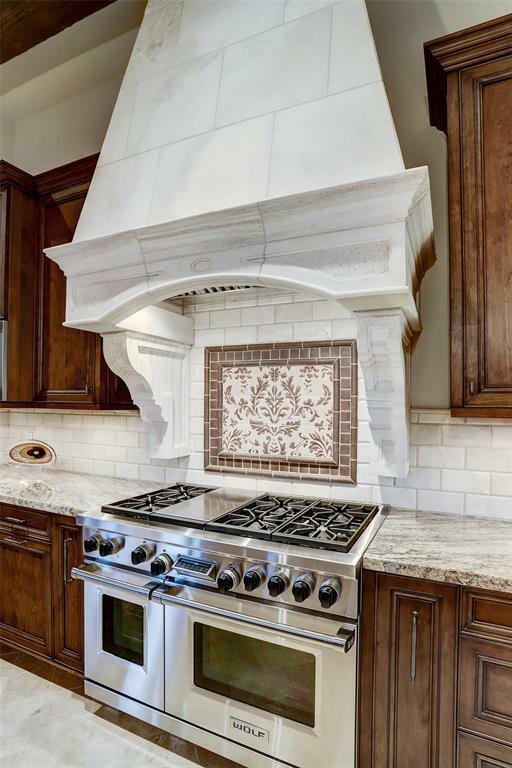 Turn Right Onto Bentwater Dr. Left Onto Marseille.